Tobi Anderson at business2community.com has shared some great insight on how to make it easier to get early ROI from your digital workplace project. “Digital Workplace” is a nice, broad term: when you think about it, it applies to just about any modern office initiative these days that features a bit of technology. That’s what makes this article so relevant; it’s easy to forget about the users when you’re all caught up in deploying something powerful and exciting, but if they don’t get the early attention they deserve the results will be disappointing. It’s a truth that’s pretty universal. 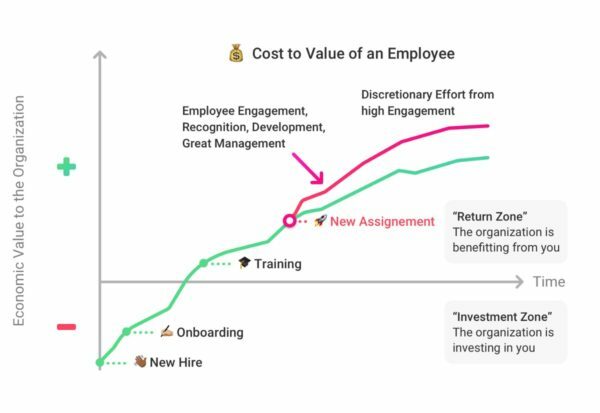 How optimizing onboarding for the digital workplace can get employees to be productive faster (and save you money!). A key theme we focus on when working with clients is clarifying what business value they will derive from their efforts. One way to do that is to create use cases for different Digital Workplace scenarios. This is so critical that it led us to develop use case catalogs with two recent clients. Each use case highlights a business scenario or process, its business outcomes, steps to achieve it, and the related success story. This has become an important tool for socializing digital working across the organization, and is sometimes even a roadmap for a new team to follow until their own unique use cases become clear. The success of this approach got me thinking that it would be helpful to share a use case example so that anyone who’s looking to better understand the Digital Workplace can see the power behind it. With that said, in the last week I’ve seen several examples of employee onboarding pop up, so that’s the story I’m going to tell – including an “Oh geez” and a “Yes!” scenario. On top of all that, the employee experience is key to retaining employees, and onboarding is really the first impression of the employee experience. Yet we hear again and again what poor experiences people still run into – when starting at a new company, or even when transitioning to a new role. Jolene arrives at the front desk of her new company on the first day per the email she received from HR. She lets the receptionist know she’s new, but the receptionist didn’t know to expect her, so she chases down Jolene’s hiring manager, Adam. Adam greets her and brings her to her cubicle, apologizes that it’s not clean, and points to the supply closet where she can find disinfectant wipes and office supplies. He also apologizes for not having her laptop yet – the request was submitted a week ago so he’ll have to check on the status with the Help Desk. After Jolene gets the dusty mess cleaned up, and finds some basic office supplies, she meets with Adam and a colleague. They are arranging for her to continue to meet team members and colleagues in other departments over the next week. It’s time for lunch, and unfortunately, no one has offered to go to lunch with her because they’re all working through lunch at their desks. Jolene didn’t bring a lunch, so she goes to leave but realizes she still doesn’t have a badge to get back in the office. She starts jotting down questions she has for Adam, but he’s in meetings for another 2 hours, so will have to fill the time until then. It doesn’t have to be that way. With a little planning and effort, and using the tools and resources available to you, you can get that valuable new employee up to speed more quickly, improve their experience and therefore employee engagement, and see gains in efficiency and productivity and reduced turnover. After getting her picture taken and retrieving her new security badge, Jolene’s new manager Adam greets her and brings her to her cubicle, which is sparkling clean with a laptop and accessories setup, office supplies set out and in her desk, and a coffee mug with the company logo on it. Adam gives Jolene a sheet from the Help Desk about how to login, and how to access the company intranet to find answers or submit any questions she has. Jolene gets logged into her computer and finds that she already has new messages on the intranet including greetings from her new colleagues, and a link to the new employee community which has a Getting Started checklist and FAQ section. She also has a link to her team’s collaboration community that shows ongoing projects, status updates, and list of events (including a welcome lunch for her that day!). Jolene meets with Adam and a colleague, and after they fill her in, she asks some questions about the projects she saw on the team community and offers to jump in on a meeting she saw on the calendar for later that afternoon. They arrange for her to continue to meet team members and colleagues in other departments over the next week, but they also encourage her to use the intranet to introduce herself online, especially with her colleagues in the other offices. It’s time for the team lunch, and Jolene is excited to learn more about what everyone does. She’s off to a great start! So how do you get to the “Yes!” scenario in a Digital Workplace? A key tool here is using a company-wide intranet or social network tool (think Yammer, Jive, SharePoint, Interact, etc.) that supports a positive onboarding process. Establish a community (or team or group depending on what system you use) for on and off boarding of employees. Ensure that key staff are set up and receive notifications, so when a new employee is coming onboard, the HR staff or hiring manager can post a notice or request, and all the right people get notified (internal IT, office management, reception, security, internal comms, etc). They all receive the info they need and hiring date at the same time so they can be prepared when the new employee starts. Enlist stakeholders from cross-functional departments to help create a new employee community. This can be led by HR, but having several different functions customize the process and add FAQs that relate to their respective roles and departments is ideal. Utilize your intranet or social network to “work out loud” with your functional and/or project teams. This helps capture and share knowledge easily, and allows newcomers to get up to speed quickly (as well as retains information when people leave). And as always, it’s not just about tools. Take the time to announce a new employee is starting in advance. Let people know when they’re starting, what their role is, and enlist them to participate in the onboarding experience. And yes, it’s a great idea to take them out to lunch on the first day. Read the article at its original source, here.